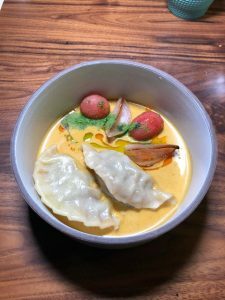 Mixing up the cultures of Indian and German, I recently attended this collaboration dinner by Chefs Tim Schulte of Bauhaus Restaurant and Tushar Tondvalkar of Mumbai Local Restaurant. 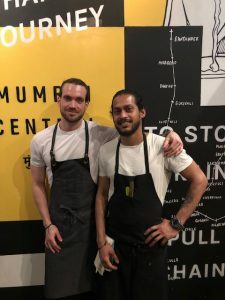 These two chefs collaborated on a German and Indian style pop-up dining experience held at Mumbai Local on Davie Street. 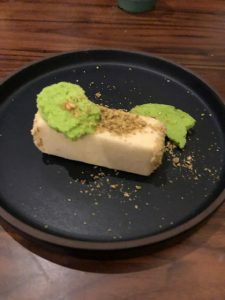 Each chef presented their own courses which made for an interesting dinner with flavourful dishes. 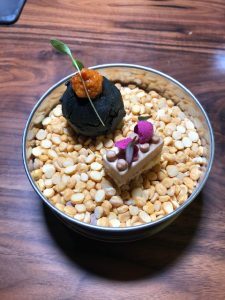 Charcoal Potato Curry (Indian) and Duck Liver lego (German), each of the two snacks were so different yet each highlighted both distinct cultures. 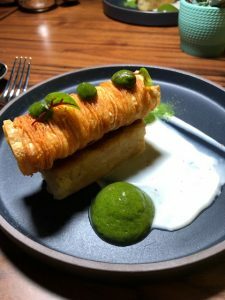 Dahi Batata Puri with potato, yoghurt, tamarind, dates and mint by Chef Tushar Tondvalkar, such a creative spin on the puri. 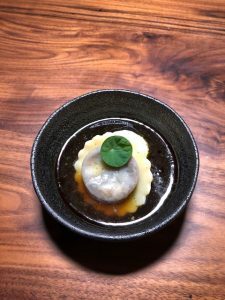 Ochsensvhwanz with Oxtail Ravioli, beef consommé, celeriac by Chef Tim Schulte, presentation was spot on, clear flavours. Duck Momos with Dumplings, coconut, curry leaf, burnt shallots by Chef Tushar Tondvalkar, this was my favourite Indian dish of the night, delicious dumpling in the curry sauce. 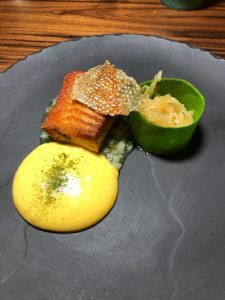 Forelle with Steelhead Trout, champagne sauerkraut, smoked potato, brown butter by Chef Tim Schulte, this was my favourite German dish of the night, perfectly done fish matched up with delicate flavours. 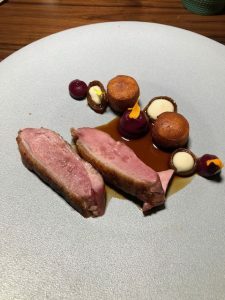 What an amazing team, this collaboration dinner featuring two of the cities finest chefs, was one memorable meal.